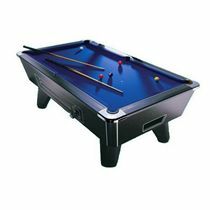 This superb BCE 6' pool table, when folded, has a handle at one end and wheels at the other to allow it to be moved effortlessly around the room and stored under the bed or sofa when not in use. 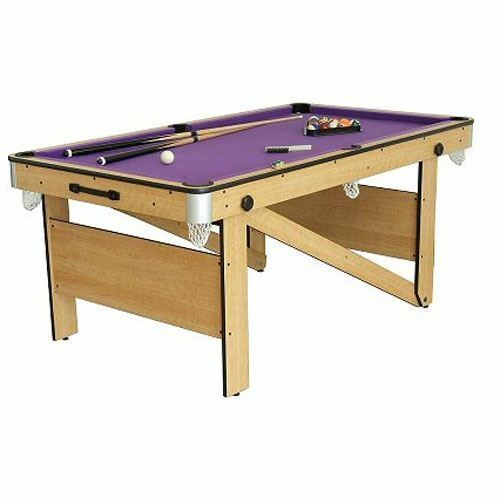 This table has beech coloured finish with attractive purple playing cloth. Fantastic product, only took 45 minutes to set up; flat packs away; brilliant finish. Delivery also only took 2 days! First class service. 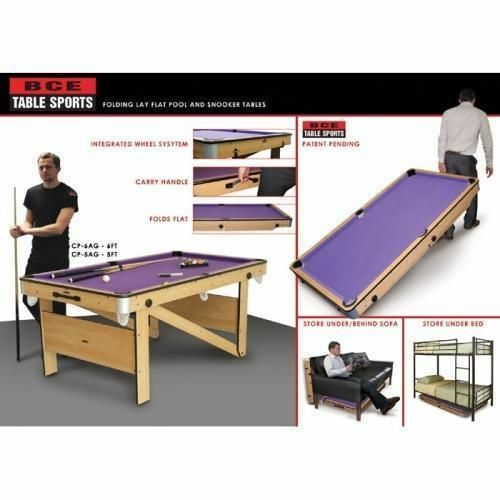 for submitting product review about BCE Rolling Lay Flat Pool Table - 6 Foot (CP-6AG).